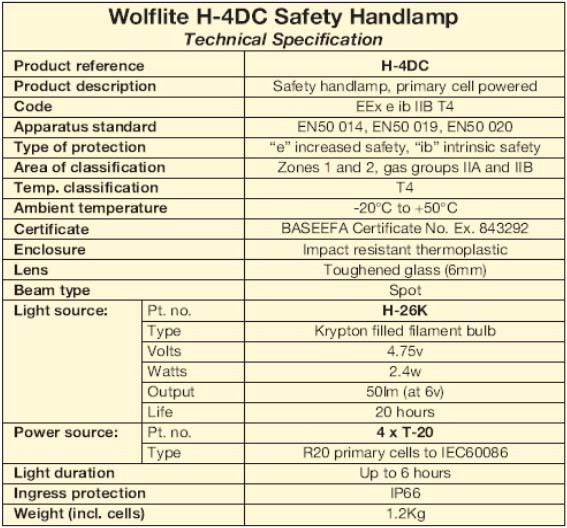 The Wolflite H-4DC is a primary cell powered, BASEEFA approved safety handlamp, suitable for use in the presence of a wide range of potentially explosive gases and vapours. The lamp body is constructed from a high impact thermoplastic, which is durable, robust and able to withstand the effects of heavy industrial use. The lens is a 6mm thick, toughened, scratch and scuff resistant glass disc. 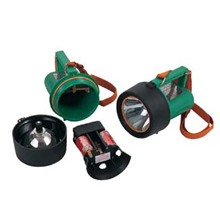 This has a rubber seal fitted around which, together with a second seal fitted around the joint between the lens ring and the lamp body, ensures that the lamp is reliable and safe for use in the wettest possible conditions. The outstanding light output from this relatively small and compact handlamp is achieved with the use of a high efficiency Krypton bulb, rated at 4.75V 0.5A, and a 100mm diameter deep parabolic reflector. compression fit, to avoid any internal movement in the event of the lamp being dropped. 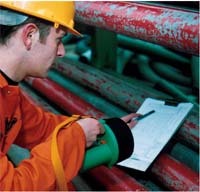 Certification is for zones 1 and 2 hazardous areas. A condition of the certification is the use of zinc carbon or zinc chloride cells. This is to ensure that the ‘intrinsic safety’ of the product is maintained and that no potential hazard is created by misuse. This would be if alkaline manganese primary cells or any type of rechargeable cell were to be used. 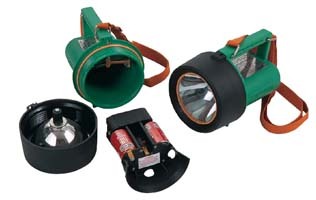 The H-4DC is a highly successful fully portable handlamp, well established in the field of safety and protection, where a less expensive but nevertheless reliable and effective Safety Lamp is required. Alkaline Manganese Cell of any description are prohibited because they are deemed to be non-compliant with Intrinsic Safety when used in this product.